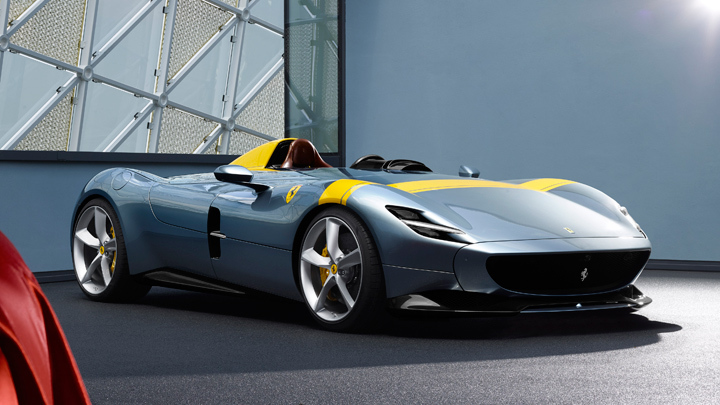 You don’t have to wear a helmet to drive Ferrari’s new Monza SP1 or SP2. We would, though, unless you enjoy the very specific sort of pain which can only be inflicted by a pigeon to the face. 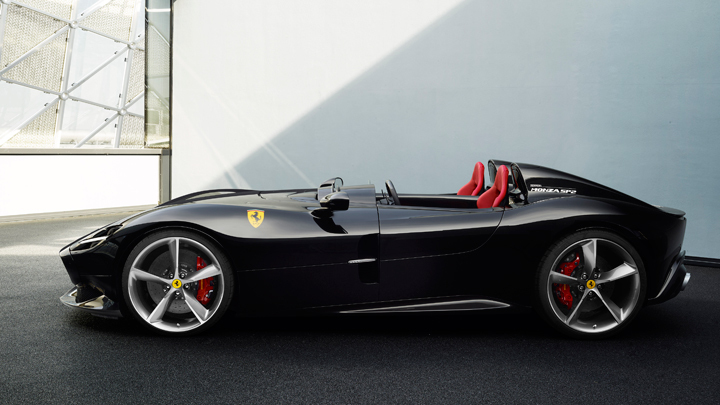 Maranello will build fewer than 500 examples of this latest limited-edition, which was unveiled at the company’s Capital Markets Day alongside its financial results and an ambitious five-year plan (which you can read about here). Yep--despite appearances, this is not some hyper-exclusive ten-off. A few might even get driven on a somewhat regular basis. Wouldn’t that be a thing? Why give us this news now, and not next month’s Paris Motor Show? 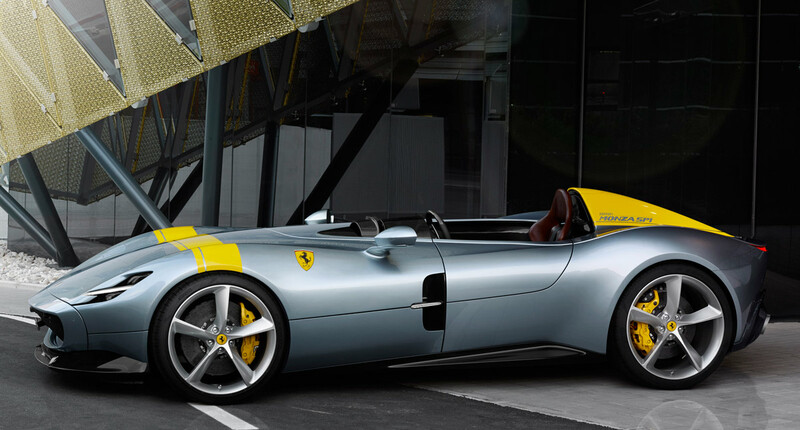 Because the SP is the first in Ferrari’s ‘Icona’ series of cars, and that’s a big deal. Sitting above the sports (488), GT (GTC4 Lusso) and ‘Special Series’ (488 Pista) models in its line-up, these cars will be targeted at its most loyal customers and inspired by iconic models from the company’s past. In this case, the 166 MM and 750 Monza that delivered wins for Ferrari in the World Sports Car Championship back in the Fifties and Sixties. And like the SP, they will always be strictly limited in number. 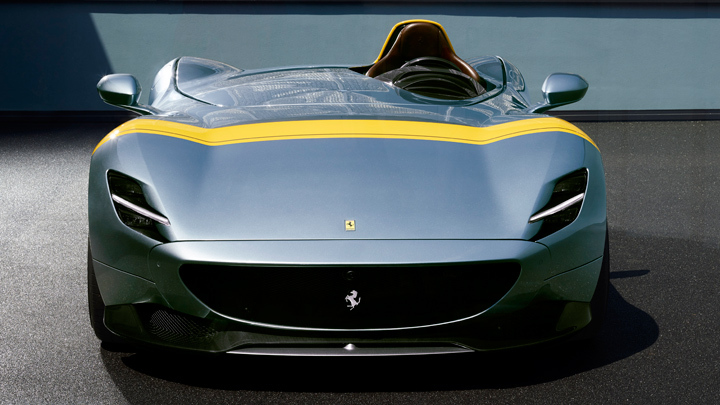 As you might have guessed, the SP1 is the single-seater. Besides a 20kg weight saving from eliminating the second seat and added rollover protection, it’s identical to the two-seat SP2. The powertrain (and platform, no doubt, though Ferrari doesn’t specify) comes from the 812 Superfast. 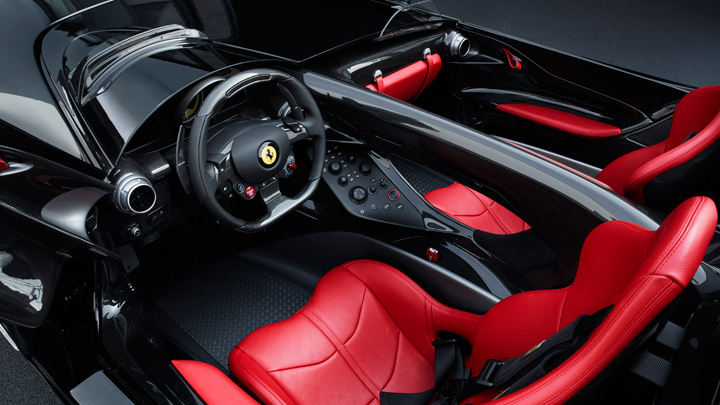 It’s a 6.5-liter, naturally-aspirated V12 that borrows know-how from Ferrari’s F1 program, running through a seven-speed dual-clutch transmission. 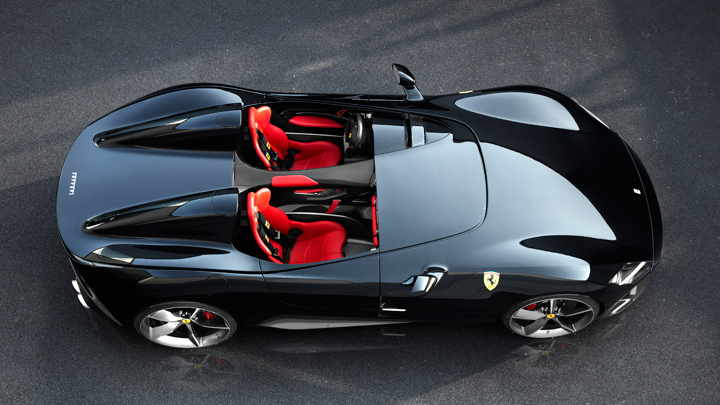 With 789bhp, it’s the most powerful engine Ferrari has ever made, and can propel the 1,500kg SP to 62mph in 2.9 seconds, to 124mph in 7.9 seconds and on to a top speed of over 186mph. Told you a helmet was wise. Bodied entirely in carbon-fibre, the SP features bespoke forged wheels, LED headlights and a full-width light-bar across the its rear-end. The doors are small, almost pointless items that open upwards and outwards, while the bonnet is a huge, front-hinged piece like a Jag E-Type’s. Meanwhile a ‘Virtual Wind Shield’ sits ahead of the instrument panel, aiming to disrupt airflow (no word on how effective it is at deflecting errant pigeons) to “maintain driving comfort”. In the SP2, the passenger gets no such luxury. 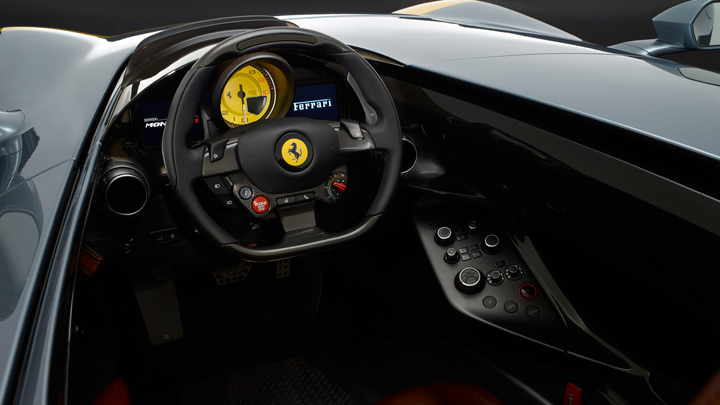 Speaking of “driving comfort,” the SPs feature the 812’s all-wheel steering system. We’re told that despite the power output, and promises of the SP’s dramatic turn of speed, that it’s “not in any way challenging.” We’ll be the judges of that, with our fists of ham and feet of lead, thanks very much. Because 800-odd horsepower, rear-wheel drive and a face-full of gravel rarely make for a “comfortable” driving experience. Every single one of the SPs Ferrari will build has already been allocated, with the mix of SP1 to SP2 dictated by what customers specify. So there could end up being hundreds more SP1s than SP2s, for example. 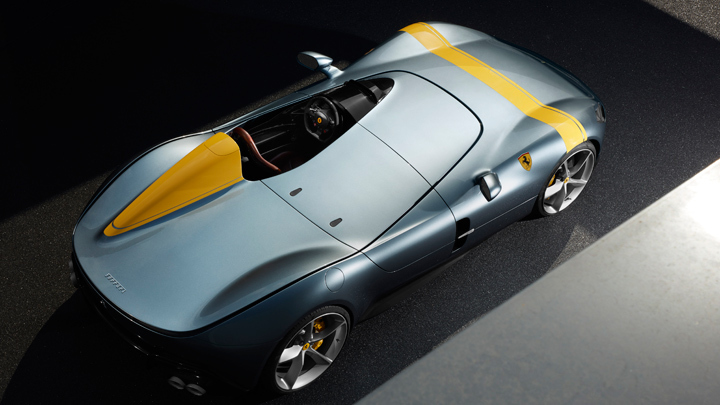 And Ferrari has partnered with a couple of Italian fashion brands, so each SP will be delivered with a bespoke “Pilot Suit” we guarantee none of its owners will ever wear. Pricing will be revealed at the Paris Motor Show next month. Seven figures? Count on it.